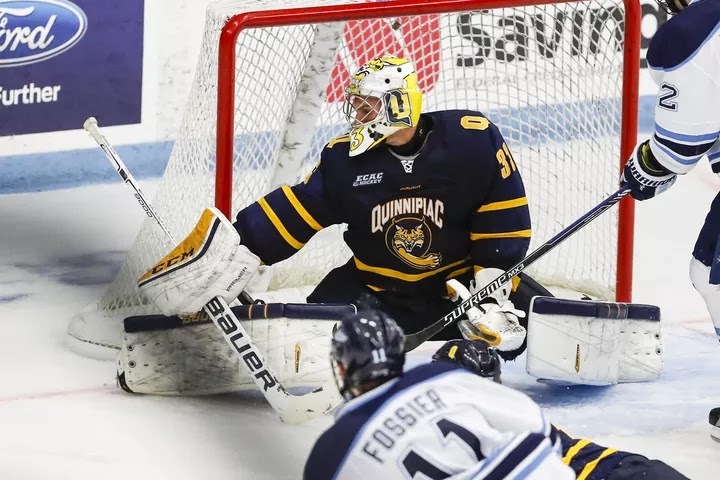 Quinnipiac goaltender Chris Truehl has been named the ECAC's goaltender of the month for October. The junior is in his first season with the Bobcats after red shirting a season ago when he transferred from the United States Air Force Academy. In five starts this year, the Madison, Wisconsin native has a 3-1-1 record for the month of October with a 2.35 goals against average and a .917 save percentage. He has wins over Northeastern, UConn and UMass on the season. With the goaltender of the month award, Truehl becomes the first Bobcats player to win an award this season. The last goaltender of the month for Quinnipiac was Michael Garteig who won the honors for December of last season.